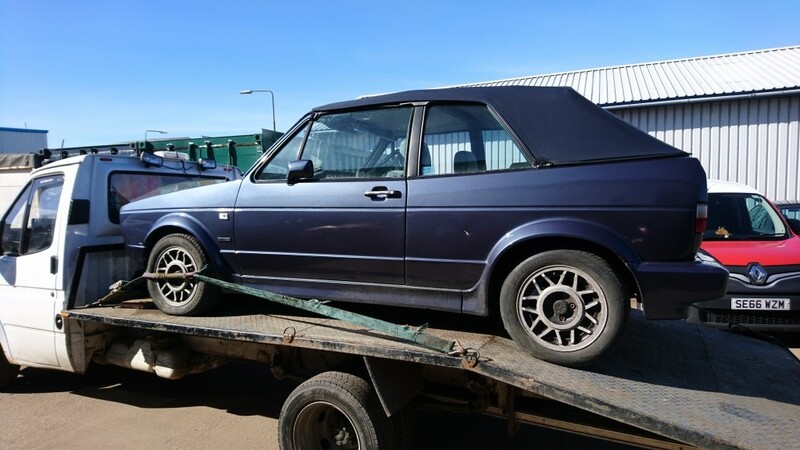 I've just bought an 89 mk1 convertible, it's a bit of a project car but will be excellent in the end. It needs a new exhaust, the downpipes are still there but mid section and back box are off the car. Do I replace the downpipes at the same time? I was thinking of just keeping it oem but maybe something a bit more performance is worth thinking about. I don't mind a bit of a growl but don't want it to be mega loud, I'm 43 so maybe beyond that. Any opinions and suggestions would be magic. I'd stick to anything below 2.5 inches tbh. I'd also have both boxes on it. As for the growl, you can get that through the back box, so go for a 3" tailpipe or a couple of smaller ones. Depends on the look you want really. Stainless gives more of a rasp and steel more of a growl, generally. PS I've moved your post down the technical area. There are a few posts in here about exhausts. There's also one in the 'Help' section.